Make sure your business cards stick with your clients. Literally. The business card your customers will never lose. Looking for a creative way to pass along your business card? Try our Business Card Stickers! 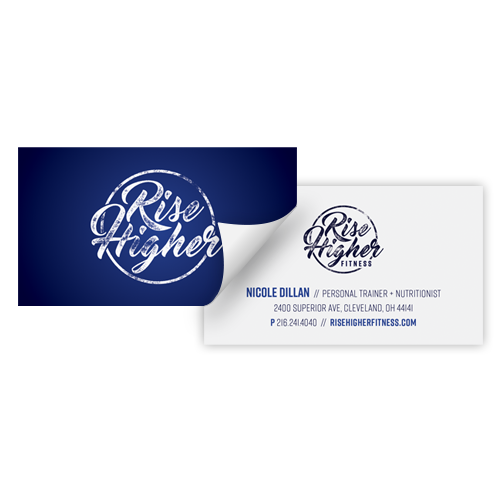 Using these stickers makes sure your business card won’t fall into the endless pile of cards your customers and clients already have. Each sticker is printed in eye-popping color in a 2” x 3.5” size and come with your choice of protective UV-resistant Matte or Gloss Lamination, or our economical, high-gloss UV coating. Hand out stickers at your next sales event or tag them all over merchandise—there’s no shortage of places to stick them! Like any of our other products, if you need some help coming up with ideas, our team of graphic designers is here to help you create the perfect artwork for your stickers; if not, just upload your pre-made design to our website!